Homesteader Profile: Kathryn is a wife and mother of four. 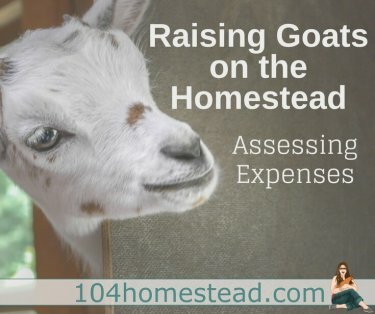 She is a work-at-home mom and author of Farming My Backyard. Kathryn lives on 1/10th of an acre in Oregon. She maintains approximately of 330 square feet of gardens (growing zone 8b). My husband, Edward, and I have three little girls ages 6, 4, 2, and a new baby boy. I work from home doing transcription and writing, and my husband is a book keeper and tax preparer. We un-school all three girls. My family also includes a goofy black lab and two cats. My homestead is located in the city where I have neighbors on all sides and can see a freeway out the front windows. I got my first taste of homesteading by planting some herbs on an apartment balcony and learning how to make my own bread. Then I added a few chickens, as well as more plants, and pretty soon I found myself with chickens, goats, rabbits, and a lot of garden. Right now I have about 330 square feet of garden space, but the gardens just keep growing. I tuck plants into nooks and crannies around the property. I had two apple trees, but the goats killed them. This spring I got two columnar apple trees and we’ve added self pollinating peach, cherry and pear dwarf fruit trees, and elderberries. I have a jam packed my homestead with twelve laying hens, two Nigerian Dwarf dairy goats, and a breeding trio of American Chinchilla rabbits. Baby rabbits and meat chickens vary in number through out the year. Right now I have four Cornish Cross chickens, four half grown rabbits, and a nest of seven baby bunnies. I sell surplus eggs to friends and family from time to time, but mostly my family stays well feed with all that the animals produce. In an effort to live simply, we heat our home with a wood burning stove, we don’t own a microwave (updated to say we bought my eight year old a microwave because she wanted to cook her own food and the stove made her nervous), downsized our fridge, and line-dry all of our laundry. I make most of our toiletries and cleaners from scratch, as well as the majority of our food. We try to reduce water and electricity use and hope to someday install solar panels and a rainwater cistern. Not too shabby for city living. Be very mindful of your neighbors. Be friendly and considerate and you may even convince them to join you in gardening or raising chickens. « Sun Map 101: How to map without tools. I do too. And aren’t her girls adorable?? ?